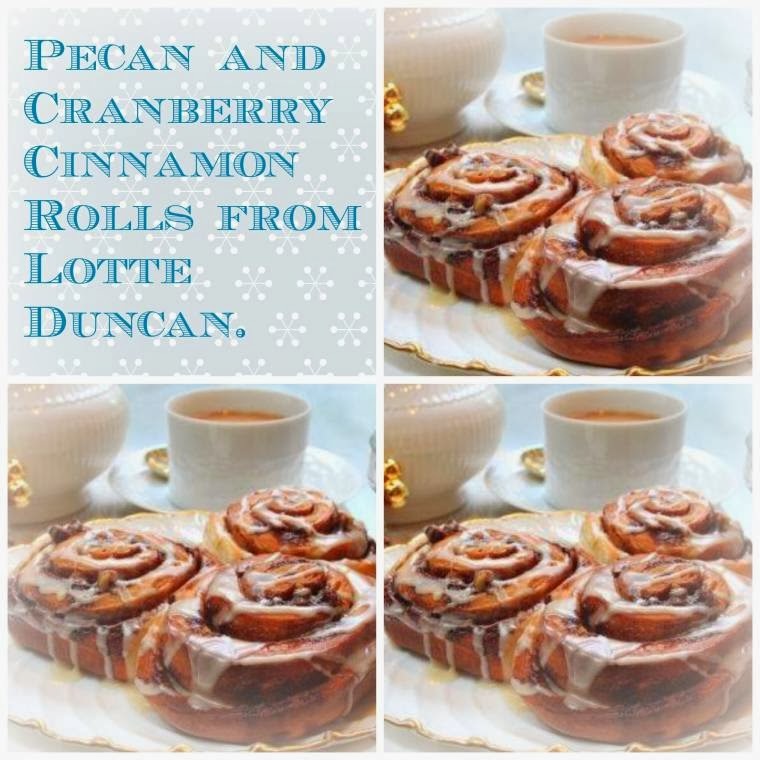 Pecan and Cranberry Cinnamon Rolls from Lotte Duncan…. Pour the flour, cranberries, yeast, salt and sugar into a mixer with the dough hook attachment. Add the hot milk and water until fully incorporated and continue to mix for five minutes. Remove the dough hook, cover the dough and leave in a warm place for 1 ½ hours until doubled in size. 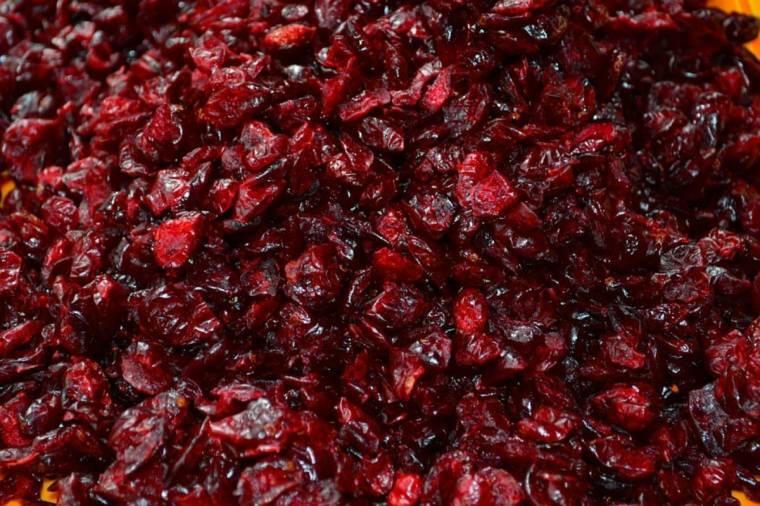 (if you dont’ have a mixer….pour all the dry ingredients into a large mixing bowl, add the liquid and used your hands to mix it well. Transfer to a floured surface and knead for 10 minutes…then return to a clean bowl, cover and leave to rise for 1 ½ hours as above). After this time, return the bowl and dough to your mixer and knead with the dough hook for a further 4-5 minutes. (Or once again knock back and knead on a floured surface). Place the baking parchments onto a 2.5 cm deep, approx 30×35 cm sized baking tray. Turn the rolls over so the swirl is facing up and place all 16 together with a small space between them, onto the parchment. Cover loosely with another piece of parchment and then place in the fridge over night (Christmas Eve). 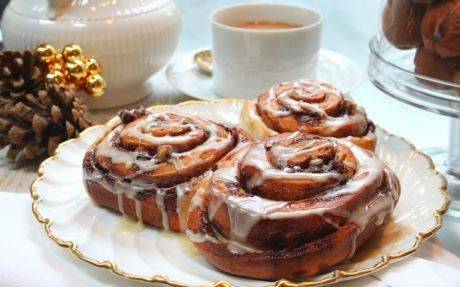 You can make the icing the day before too…or whilst the rolls are in the oven. Sieve the icing sugar, add the maple syrup and vanilla essence, then enough boiling water to make it a nice thick, yet spoonable icing. Dollop the icing onto the hot rolls as soon as they are out of the oven.